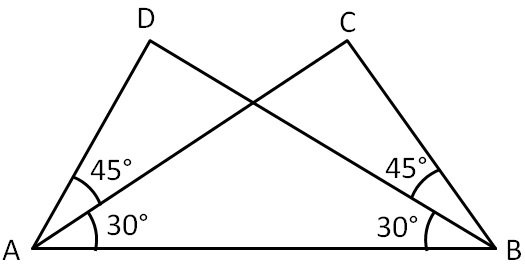 The side between these angles of both the triangles are equal. 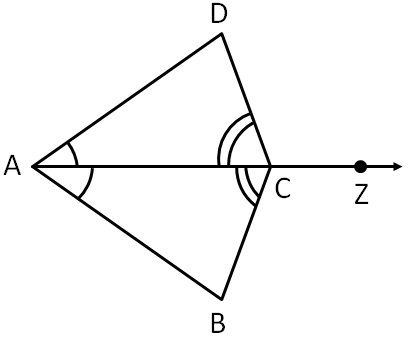 2 angles and the side between them are equal. 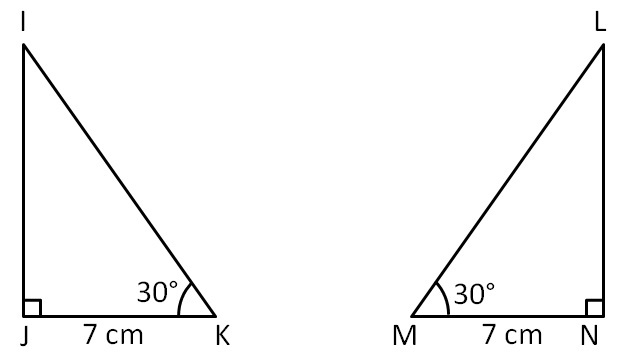 Given below are measurements of some parts of two triangles. 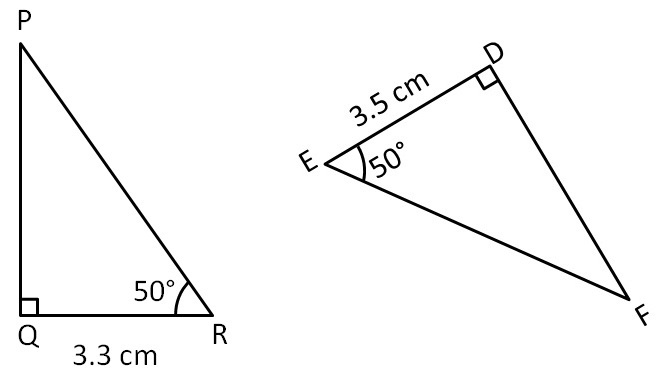 Examine whether the two triangles are congruent or not, by ASA congruence rule. In case of congruence, write it in symbolic form. In Fig 7.28, ray AZ bisects ∠DAB as well as ∠DCB. State the three pairs of equal parts in triangles BAC and DAC.